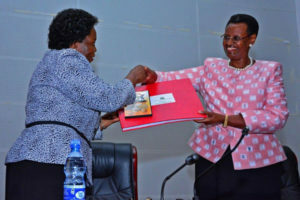 The 2017 Uganda Advanced Certificate of Education (UACE) exams released yesterday indicate that Wakiso and Kampala districts were the top performing districts while Nakapiripirit, Napak, Kotido, Buvuma and Dokolo came last. According to the UNEB executive secretary, Mr Daniel Odongo, 8,538 candidates in Wakiso District got three principal passes, followed by Kampala with 34,931 candidates and Mukono District with 3,226 candidates. Buikwe had 1,006 candidates with three principal passes.